Students learn how to build up high levels of bioenergy (biophotons) using their body’s own entire nerve fiber system. Our students cultivate a biophoton buildup of energy each day that requires a cool temperature transfer as they practice the Nerve Fiber Building exercise. The Chi Student learns that it is thru a cool temperature and a good feeling transfer that these biophotons mold into a tangible “energy form”. They understand and are taught how to utilize these ‘energy forms’ to perform advanced abilities and healing techniques. Chi Students and Instructors alike come to know there are energy modalities that do teach a student how to move around their chi (liquid chi), but they do not teach this unique technique of actually forming the chi “into place” to perform energy abilities at a professional level. 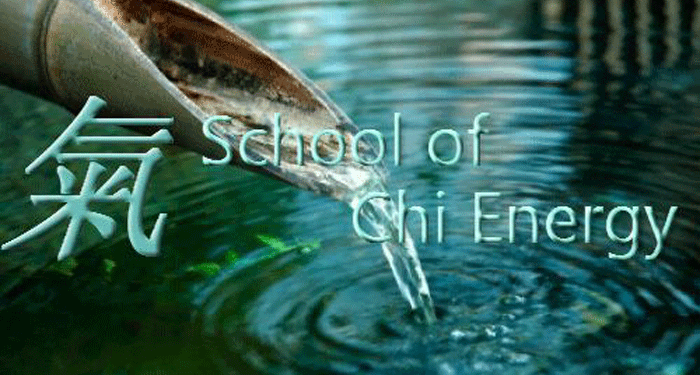 The School of Chi Energy goes over and explains what is happening to your actual physical body when you cultivate chi energy or bioenergy. Students learn thru practical application that “Chi Energy” behaves similar to electricity with a magnetic component. Students learn to perform energy exercises that help build up their entire body’s nerve fiber system using ever increasing levels of energy. Cultivating large amounts of energy may lead to overloads in their body’s nervous system; therefore, we teach students to build up energy in moderate amounts each day, helping them to avoid bad side effects. Students are able to create usable chi energy forms by practicing the energy exercises on a regular basis. Our Chi Energy Method teaches the student to build up or cultivate the biophotons using a cool temperature transfer; whereas other methods do not use any type of temperature control when cultivating chi. Our cultivation energy method uses a technique called the Tri-concept. The Chi Energy Student learns the Tri-concept Method in Qi Cultivation to avoid overloads while building up their body’s nerve fibers by using a cool temperature and good feeling transfer. It is the Tri-concept method that has the key ingredients to allow students to be able to reach the advanced ability levels in a safe manner. This is why Chi Energy Students are able to perform energy exercises that lead to practical applications in their first year of training. Chi Energy Instructor Don Brown cites: “Although surrounded by ancient mysticism, chi is that which Western scientists have called the Quantum field. The theories are markedly similar when compared side-by-side. Each [Chinese Mysticism and Quantum Mechanics (1)] speaks of an energy field made up of tiny particles that comprise everything, and move through everything. Looking at it from a scientific point of view, the shroud of mystery is removed and an objective, scientific perspective remains. With the understanding that chi, synonymous with quantum particles, makes up everything and moves through every object, it logically extends that human beings are also made up of these small particles and as both camps postulate, this energy moves through everything. In the movie, the “Matrix”, it is proposed that: “The human body generates more bio-electricity than a 120-volt battery and over 25,000 BTU’s of body heat”(2). This is a form of energy. ““According to the Center for Space Power and Advanced Electronics, a NASA commercial center in Alabama, the human body is capable of producing 11,000 watt hours. Broken into usable terms, waiting to be harvested are 81 watts from a sleeping person, 128 from a soldier standing at ease, 163 from a walking person, 407 from a briskly walking person, 1,048 from a long distant runner, and 1,630 from a sprinter, according to the center””. The brain sends an electric signal through the nervous system that reaches the finger, informing it to wiggle as your thoughts suggested. These electrical impulses that the body produces are manifestations of quantum mechanics: chi energy. Extending this analogy, we can view the nervous system as a bio-electromagnetic circuit; this has huge implications with regards to the School of Chi Energy exercises, such as the Nerve Fiber Building. Students learn thru practical application that “Chi Energy” behaves similar to electricity with a magnetic component. Students learn to perform energy exercises that help build up their entire body’s nerve fiber system using ever increasing levels of energy. Cultivating large amounts of energy may lead to overloads in their body’s nervous system; therefore, we teach students to build up energy in moderate amounts each day, helping them to avoid bad side effects. Students are able to create usable chi energy forms by practicing the energy exercises on a regular basis.